Computer Basics introduces general computer use and terminology. It describes the basic hardware components of a PC and introduces basic skills for using software programs in a windows environment. This course will address hardware and peripheral components of the computer and how to use them correctly. Describe the basic components of the computer. Identify input and output devices. Start the computer, run programs and shut down the computer. Control program windows and menus. In simple terms, a computer is an electronic machine capable of performing various arithmetic and logical operations. The computer is also capable of storing information, which can be used later. A computer can process millions of instructions in a few seconds with high accuracy. Hence a computer can be defined as an automatic electronic machine for performing calculations or controlling operations that are expressible in numerical or logical terms. Computers are very accurate and save time by performing the assigned task very fast. Moreover, unlike human beings,they never get bored. It is the ability to take instructions in the form of programs and execute them, that distinguishes a computer from a mechanical calculator. While both are able to make computations, a calculator responds simply to immediate input. In fact, most modern calculators are actually computers, with a number of pre-installed programs to help in complex tasks. Computers are used almost in every sphere of human life including government, industries, medicine, education, law, research, arts and media. Its application is limited only by our imagination. There are so many applications of computers, that it is impractical to mention all of them. This is the Computer Age and these machines are impacting our lives in many ways. Computers are now becoming faster, more reliable and effective than they had been ever before. A computer system has two major components, hardware and software. Hardware refers to all the physical components associated with a computer. The most important is the central processing unit (CPU) or microprocessor. It is the 'brain' of the computer as it does all the calculations and processing. 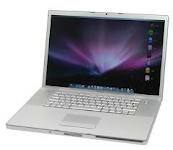 Other hardware devices are monitor, keyboard, mouse, printer, hard disk etc. Software is a set of instructions/programs, which enables the computer to perform a specific task. An important software called the 'Operating System' is a set of specialized programs which manage the overall operations of the computer. Windows XP is a well-known and widely used operating system. There are other types of software too, known as the application software which are intended to be used for specific tasks such as word processing etc. Computers can be classified based on their principles of operation or on their configuration. By configuration, we mean the size, speed of doing computation and storage capacity of a computer. On the other hand a digital computer operates on digital data such as numbers. It uses binary number system in which there are only two digits 0 and 1. Each one is called a bit. The digital computer is designed using digital circuits in which there are two levels for an input or output signal. These two levels are known as logic 0 and logic 1. Digital Computers can give more accurate and faster results. Digital computer is well suited for solving complex problems in engineering and technology. Hence digital computers have an increasing use in the field of design, research and data processing. Special purpose computer is one that is built for a specific application. 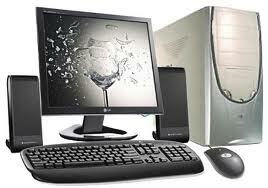 General purpose computers are used for any type of applications. They can store different programs and do the jobs as per the instructions specified on those programs. Most of the computers that we see today, are general purpose computers. A hybrid computer combines the desirable features of analog and digital computers. It is mostly used for automatic operations of complicated physical processes and machines. Now-a-days analog-to-digital and digital-to-analog converters are used for transforming the data into suitable form for either type of computation. For example, in hospital’s ICU, analog devices might measure the patients temperature, blood pressure and other vital signs. These measurements which are in analog might then be converted into numbers and supplied to digital components in the system. These components are used to monitor the patient’s vital sign and send signals if any abnormal readings are detected. Hybrid computers are mainly used for specialized tasks. When we talk about types of computers, the first type that comes to our mind would be Super computers. They are the best in terms of processing capacity and also the most expensive ones. These computers can process billions of instructions per second. Normally, they will be used for applications which require intensive numerical computations such as stock analysis, weather forecasting etc. Other uses of supercomputers are scientific simulations, (animated) graphics, fluid dynamic calculations, nuclear energy research, electronic design, and analysis of geological data (e.g. in petrochemical prospecting). Perhaps the best known super computer manufacturer is Cray Research. Some of the "traditional" companies which produce super computers are Cray, IBM and Hewlett-Packard. As of July 2009, the IBM Roadrunner, located at Los Alamos National Laboratory, is the fastest super computer in the world. Mainframe computers can also process data at very high speeds vi.e., hundreds of million instructions per second and they are also quite expensive. 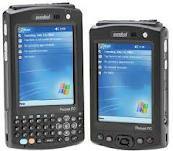 Normally, they are used in banking, airlines and railways etc for their applications. Mini computers are lower to mainframe computers in terms of speed and storage capacity. They are also less expensive than mainframe computers. Some of the features of mainframes will not be available in mini computers. Hence, their performance also will be less than that of mainframes. Handheld computers or Personal Digital Assistants (PDAs) are pen-based and also battery-powered. They are small and can be carried anywhere. They use a pen like stylus and accept handwritten input directly on the screen. They are not as powerful as desktops or laptops but they are used for scheduling appointments,storing addresses and playing games. They have touch screens which we use with a finger or a stylus.